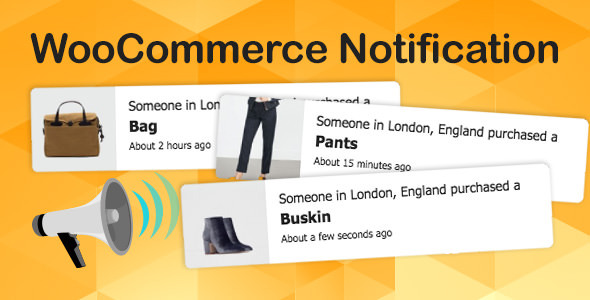 WooCommerce Notification displays recent orders on your storefront. It’s the online equivalent of a busy store, and shows prospective customers that other people are buying your products. Increase conversion rate by highlighting other customers that have bought products. Display orders in real time for buyer validation and social proof! Create a sense of urgency for visitors, and expose new products!